COMMENT: Heathrow – the way is down! In what it clearly a promotion of its own ‘meet and greet’ and off airport parking facilities Airport Parking and Hotels (APH) is now publishing the full facts by comparing the extra charges made by some of the lesser-known airlines on its website ‘Know Before You Go’ section. 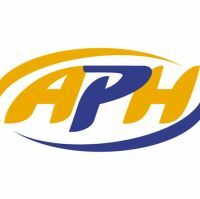 Now Japan’s number one airline ANA is to introduce enhanced new services over the coming months. ANA competes with BA, Japan Airlines and Virgin Atlantic on the London route. The fast growing DoubleTree by Hilton brand which now has more than 350 hotels worldwide, has signed a deal for its fourth property in Spain that will mark its arrival in Barcelona and become the third Hilton Worldwide hotel in the city. 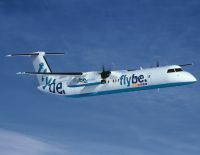 Exeter-based Flybe, which claims to be Europe’s largest regional airline, has announced its Interim Management Statement for the period to 7 August 2013, incorporating its performance in the first quarter ended 30 June 2013. 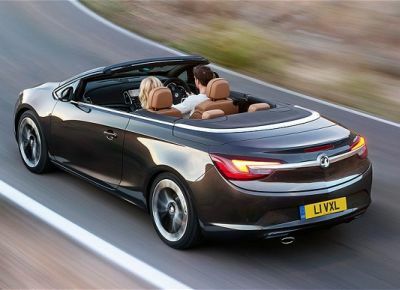 As reported in BTN 5 August Saab Hammed joined as Chief Executive on 1 August, with effectively a free hand to revive the fortunes of the loss making carrier. These are the old management's last results. 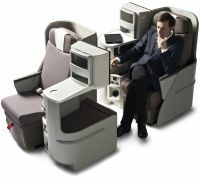 In a move that you might have thought would have been made by one of the airlines from the Far East, Iberia has introduced what is in effect a gamble for an upgrade (except you cannot lose). 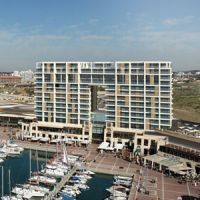 Now applying the finishing touches the Ritz-Carlton Herzliya will be the first of the luxury brand in Israel. 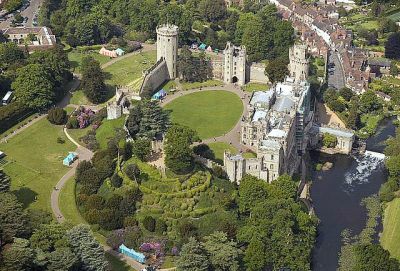 A December opening date is planned. Sir Howard Davies put on a brave face last week when he faced certain selected media as the Airport Commission published a list of short and long-term possibilities for future expansion. In truth he and his team, however meticulous and fair they try to be, cannot win. When the results of the investigation are published after the 2015 election they will be just a recommendation. Only then will the real fight begin. Pressure by publications like Business Travel News clearly does work. We have been campaigning for the abolition of wi-fi charges by hotels and now one of the largest groups has succumbed. Radisson Blu will point out that it has been offering this service gratis for a number of years. 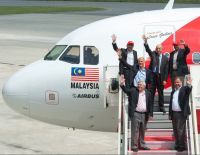 AirAsia’s Indonesian wing has become the recipient of the 8,000th Airbus, an A320. In 1972, the original A300 made its maiden flight entering service with Air France in 1974. In total 816 A300/A310s were built with about half still in service. However it was the launch of the A320 in 1981 that guaranteed the status of Airbus as a major player in the aircraft market – the aircraft had over 400 orders before it first flew, compared to 15 for the A300. 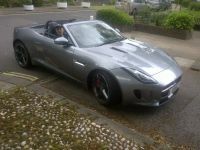 The UK’s love affair with drophead cars continues with deliveries starting for the Jaguar F type ((see ON TOUR) and most manufacturers offering 2/4 seat convertible versions of one of their mundane family car products. 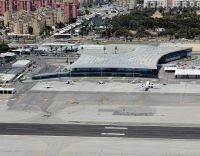 In spite of difficulties raised by the neighbouring Spanish authorities Gibraltar Airport continues to grow in passenger numbers, although not at the rate the Government of the British Overseas territory would wish. A record 387,000 passengers used the airport last year, many passing straight into Spain. Currently British Airways offer flights from Heathrow, easyJet from Gatwick, and Monarch from Birmingham, Luton and Manchester. Back in 2007 both BA and Iberia ran short lived services from Madrid. Vueling, the Barcelona based Spanish low-cost carrier, has officially become part of IAG. A new governance structure is being introduced in order to be more in line with the company status as an unlisted company. As specified in the prospectus submitted to the Spanish stock regulator, CNMV, the seven independent Board members, including the Chairman, will shortly present their resignations. Owned by New Zealand airport operator Infratil, Glasgow Prestwick Airport seems to be making a comeback in terms of passenger numbers. The airport has been up for sale since March 2012 with no takers. 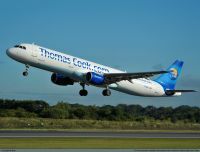 Whilst still carrying the image of the old charter airlines Thomas Cook has been steadily building up its routes as a scheduled carrier, albeit mainly carrying leisure passengers. From June 2014 it will replace a single Airbus A320 with a pair of the larger A321s to its Stansted line-up and introduce Corfu, Fuerteventura, Heraklion, Izmir, Kefalonia, Kos, Rhodes and Skiathos – as well as increasing frequency to popular resorts. The Airport Operators Association (AOA) has confirmed that its Annual Conference & Exhibition will be held on 21 and 22 October, once again at the London Hilton Metropole near Paddington Station. The States, the Parliament of Guernsey, the second largest of the Channel Islands, has voted to safeguard the air link to Gatwick. Currently flown by Flybe and the islands own carrier Aurigny, seat capacity would have been limited from April next year with the withdrawal of the Exeter-based airline's services. 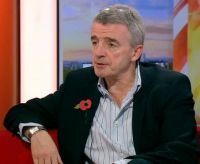 Michael O’Leary may be conducting a personal war against air travellers and their baggage (see BTN 5 August), but at the end of the day people need a change of clothes and their personal items at the destination. Following the Ryanair CEO’s outburst, First Luggage, the international door-to-door luggage collection and delivery service, is launching Luggage Delivery Company, an affordable new service claimed to bring the glamour back to travelling within Europe. 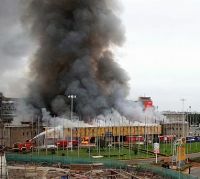 The short-term problems resulting from a major fire at Nairobi’s international terminal last week seem to be over. British Airways resumed its services on Friday as have most foreign carriers. The Kenya Airports Authority, which runs the airport, is advising passengers to check before either leaving for the airport or taking an incoming flight. TAM Airlines, now part of LATAM Airlines Group, which includes LAN Chile, is in the process of introducing new Boeing 767s on the Rio de Janeiro to Heathrow, New York and Miami routes. The first aircraft has started operating on the London service and the airline plans to integrate six new 767s into its fleet by November 2013. Each aircraft will offer 221 seats in total – 30 in Business Class and 191 in Economy. Fully flat seats are provided up front. Figures just released by the Association of Serviced Apartment Providers (ASAP) confirm that the sector is reporting a strong performance for Quarter 2 (April-June) this year, recovering well from the challenging first three months. The average overall occupancy for London was 86% – a 10% increase on Quarter 1, with June delivering an impressive 90% occupancy. The average net weekly rental rate in London was £1,166, an eight percentage point increase on the first quarter figure of £1,076.